Betty Winburn Estate Auction — Harritt Group, Inc. 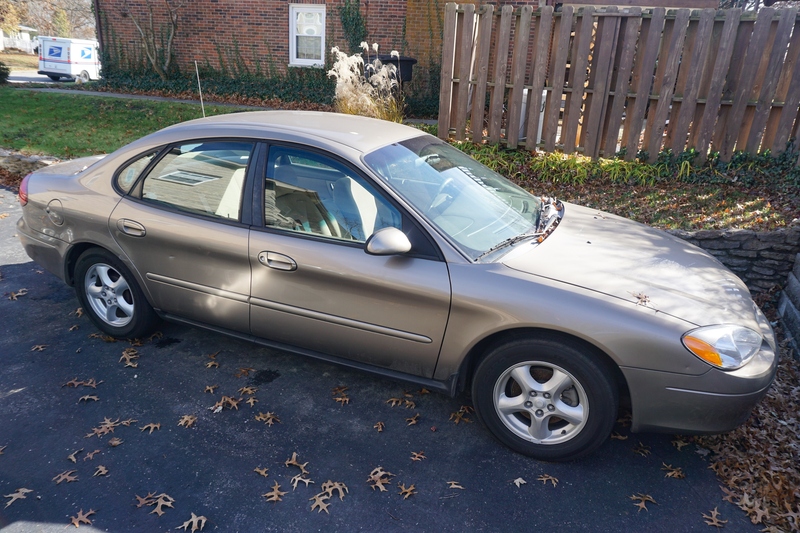 Selling the contents including 3 vehicles; a 2010 Ford Fusion, 2004 Ford Taurus & 1996 Ford Crown Vic, bedroom, dining & family room furniture, antiques, collectibles, tools and household items. Auction located off Green Valley Road & Spickert Knob Road. 2010 Ford Fusion, AWD, 4-door sedan, V-6, leather interior, 140K +- miles; 2004 Ford Taurus, 4-door sedan, 75,151 miles; 1996 Ford Crown Vic, 4-door sedan, 62,712 miles. Century country French china cabinet w/ivory crackle finish, round oak claw foot pedestal table w/4 spindle & pressed back chairs, maple drop front secretary, (2) foliate pattern sofas, iron & wood Queen size bed & nightstand, Tell City maple chest & dresser, country style green painted hutch & (2) end tables, country 1-door painted & decorated cupboard, tall pine chest, (2) TV cabinets, (2) blue Queen Anne chairs, oak armed bench, blue painted storage bench, antique oval lamp table, painted chifferobe, oak half wall table, oak coffee & end tables, (3) oak bar stools, cast iron yard bench, decorative mirrors, lamps & more. Antique Model 20 Singer toy sewing machine, antique black Singer sewing machine #AD427341 in cabinet, vintage Nacional cast iron coffee mill with trackwheel, iron Red Jacket well pump, iron pitcher pump, porcelain coffee pots, nice reproduction of 1800’s wood rocking horse, large collection of Boyds teddy bears, large Boyds Bear print, oil lamps, brass ink well, ornate cast dresser mirror, glassware, china, quilts, linens, country decor and more. 220 Volt vertical compressor, MATCO rolling tool chest, red tool box, assorted hand, yard & power tools, heavy metal cabinets and more. Washer & dryer, Samsung & Dynex flat screen TVs, large selection of Christmas & seasonal decor, wall art, kitchenware and much more. Located off Green Valley Road & Spickert Knob Road.